Published: Aug. 9, 2018 at 08:26 p.m.
Tampa Bay Buccaneers cornerback Ryan Smith forces a fumble and the defense dives onto it. Published: Dec. 31, 2017 at 06:52 p.m. 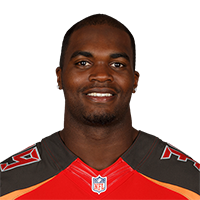 Published: Aug. 11, 2016 at 09:18 p.m.
Tampa Bay Buccaneers safety Isaiah Johnson picks off Philadelphia Eagles QB Carson Wentz and returns it 35 yards.